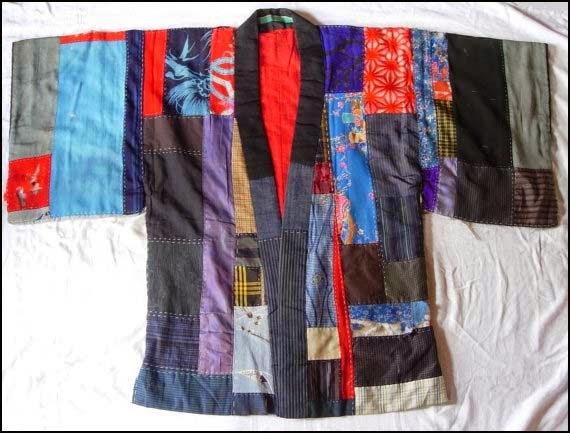 hyakutoku kimono 百徳着物 hyaku toku "one hundred virtues "
. Kimono 着物 Japanese Robes - Introduction . 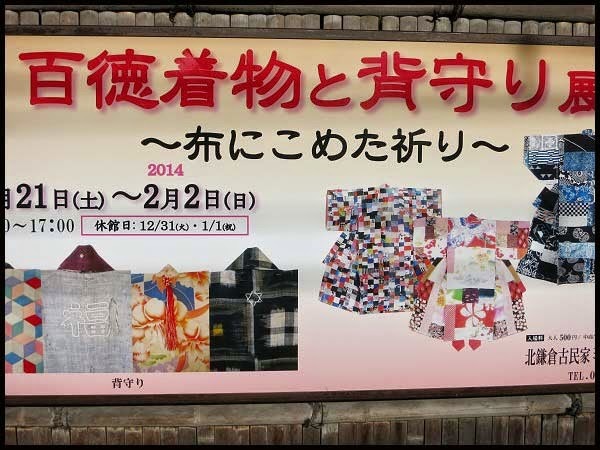 We call patchwork kimono "haykutoku", which means "hundred virtues". 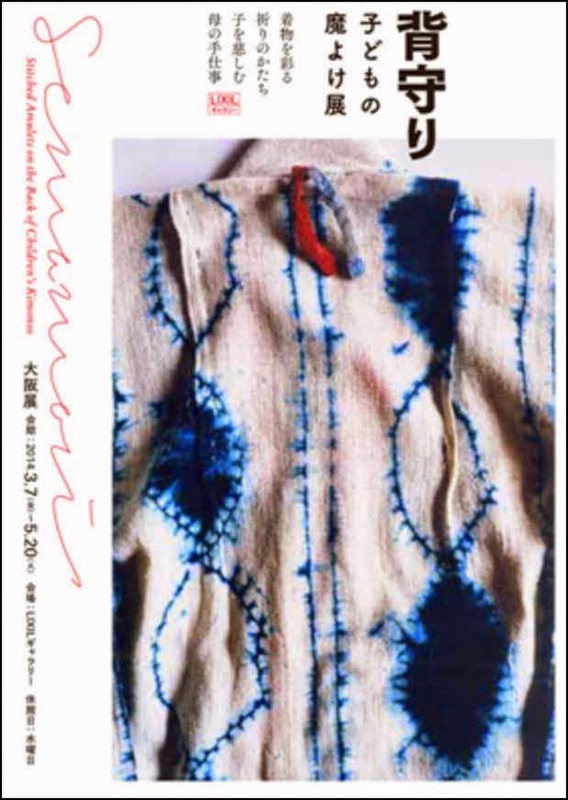 Small pieces of kimono fabric was collected to make a baby kimono, wishing health and longevity. Sometimes old men's kimono who really lived long was included to wish longevity. They were usually made for babies and children but this hyakutoku kimono was made for adult women. It was made as hanten, informal jacket, padded with cotton. Outside pieces of fabric are cotton and silk. Some are Edo chirimen (crepe). There are holes and thinned fabric, the inside cotton is shown. They are especially noticeable at the sleeves and shoulder line and some are in front of the body. Overall this is a tattered beauty. 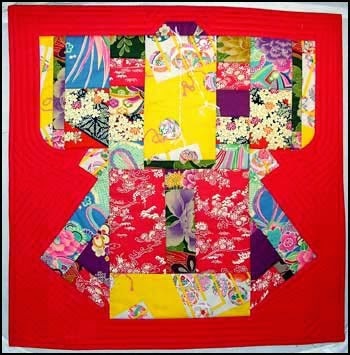 Using bright cottons in traditional patterns this wallhanging was inspired by children's patchwork kimono made up from (supposedly 100 ) scraps given by family, friends and neighbours . Introducing the special forms of kimono popular up to the early Showa period with “Semamori” emblems designed to protect a child’s well-being and “Hyakutoku-kimono” created from cloth gathered from 100 people in a particular form of prayer, this exhibition features various examples and documents relating to this form of kimono, along with photographic produced by Miyako Ishuchi since winning the Shiju Hosho award.
. Reference - hyakutoku kimono.